No troskis. Really, No troskis. Just a whole lot of taxis, in Cameroon. There are no taxi stations, so taxi drivers move around town all day looking for passengers. And, mind you, this is a shared taxi system. 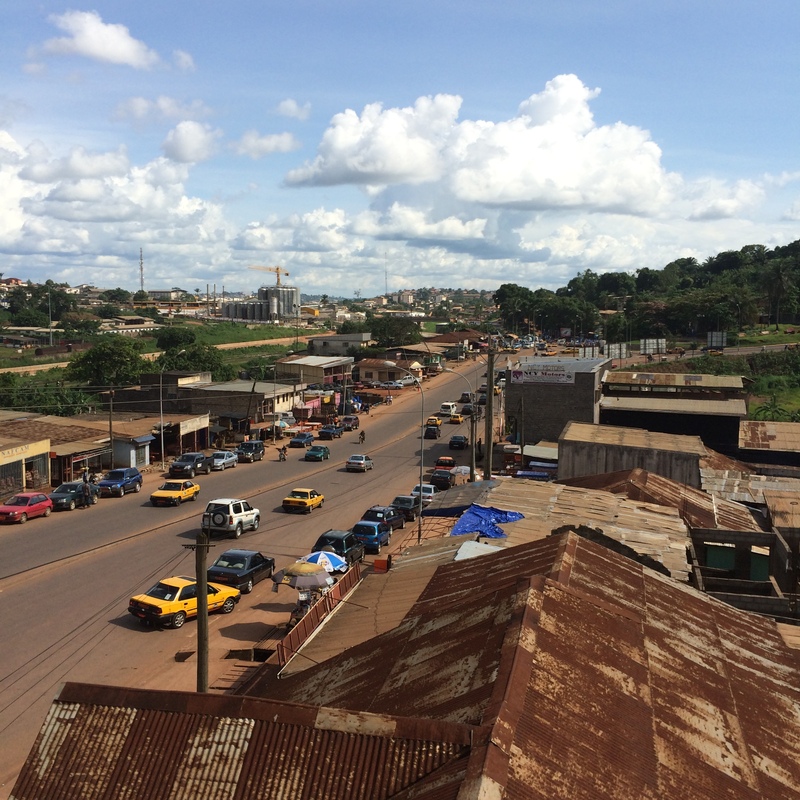 Depot (“dropping” in Ghanaian English), where one person hires a taxi isn’t common. It’s mostly tourists or Kuukuwa 🙂 that try it. This is how everyone else does it. First stand by the road in the loosely demarcated taxi stop areas, making sure you’re facing the general direction of traffic to the area you wan’t to go to. A taxi with empty seats will slow down (sometimes very negliglibly) when it approaches you. Now here’s the tricky part. You have to quickly tell him where you are going and make an offer of the fare you wish to pay, and speak fast because he slowed down oh, he didn’t stop. For example. Kay: Carrefour Etoudi, deux places, trois cent francs. If taxi driver accepts the offer, he stops and honks. Kay and Em get in. If he doesn’t accept, or isn’t going in that direction, he ignores them and drives off. The average cost is 200 francs, but if it’s a very short distance and you have an authoritative voice, you can pay 100. You can imagine how stressful this system can be for someone who doesn’t speak French well, or know the names of places. For instance, the second and last time I tried this system the taxi driver drove me to an unfamiliar neighbourhood because my “Carrefour Bastos deux cent francs” sounded like something totally different to him. Now, I just do depot for my daily routines, and if I want to go somewhere special, I call my taxi driver pal… another story for another day. Whats up very cool blog!! Man .. Excellent .. Wonderful ..
work out more strategies on this regard, thanks for sharing.